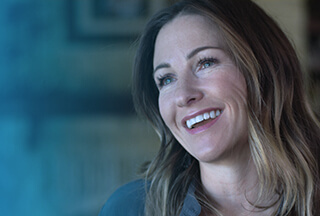 Software Quality Senior Engineer - Isilon at Dell Inc.
Dell provides the technology that transforms the way we all work and live. But we are more than a technology company — we are a people company. We inspire, challenge and respect every one of our over 100,000 employees. We also provide them with unparalleled growth and development opportunities. We can’t wait for you to discover this for yourself as a Software Senior Quality Engineer on team in Pune. Isilon Systems, a division of Dell EMC Corporation, is the leader in scale-out storage systems. Our clustered storage and data management solutions drive unique business and economic value for customers by maximizing the performance of their mission critical applications, workflows, and processes. The Isilon Engineering team of EMC2 is seeking an experienced Principal Software Quality Engineer (Princ SQE) to join our Certification team. This role will directly impact the improvement of the quality of released code to our customers. In this position, you will leverage your testing and automation skills to ensure that the final product is adhering to the engineering and design specifications and product requirements. The team is responsible for running and automating system and product level tests, filing defects, assisting in root cause analysis of defects, driving the resolution of defects, monitoring regression test case runs and lists, and assuming the role of the customer. To that point, you will be directly responsible in helping to prevent issues from reaching our customers. Career paths in Isilon Engineering are paved by those who believe they have the ability to make a difference. Engineers in our company are not confined into a very narrow set of responsibilities. The opportunity to innovate presents itself daily as you complete your assigned tasks, such as writing and running test plans, test cases, and automation. It is this drive to innovate, to do the right thing, that will encourage you to do whatever it takes to further engineering as a whole, the company, and your career. She/he should be passionate, self-motivated, analytical, and detail-oriented, and ready to become a key contributor. ·Act as a technical Lead and mentor for the India team. ·Act as an interface for cross-geo discussions from India. ·Drive effectiveness and efficiency improvements in testing. ·Strong Unix/Linux knowledge. Windows system administration skills a plus. ·Solid experience with one or more of the following programming languages: C++, Python, Perl, sh/bash scripting, Java or C.
·Familiarity with building open-source applications; (e.g. make, configure, automate). ·Experience troubleshooting issues in large complex networks and systems including storage. ·Strong ability to quickly learn new technology and new products. ·Ability to work in a demanding environment while ensuring the highest quality of work. ·Able to work independently under pressure and against deadlines. ·Able to take initiatives for continuous improvement of tests, automation and processes. ·Able to lead the team and create a very strong positive influence.